Hospital discharge planning is crucial in ensuring that your aging loved one receives the post-hospital care needed to regain his or her health. These 16 hospital discharge questions for caregivers are a vital part of the patient transition process because you are the ones who will help manage the patient’s care once they get home. The caregiver, along with the discharge planner, doctor and other medical professionals will be the key players in helping your elderly relative recover and adjust at home. How will my parent’s diabetes, COPD, or heart disease affect their recovery? What setbacks might we encounter? Who can I call if we have questions about healing and recovery? What kinds of services have you recommended… physical therapy? Visiting nurse or home helper? When should we schedule a follow-up appointment, and will a visiting nurse be assigned? What symptoms should we watch out for, and call about? Who do I talk to about what Medicare and insurance covers in Massachusetts? Can I have a list of the medications prescribed? Will these new prescriptions have any effect on the medications my parent already takes? How long should they keep taking each medication? Are any of the medications likely to affect their strength, balance or appetite? Be sure to ask the pharmacist if the medications should be taken with or without food. Many elderly people return home with newly limited ability to dress themselves, use the bathroom or climb stairs. They may have balance problems for awhile or permanently, or they may need special equipment to manage their medical condition. Include these hospital discharge questions to be sure your home will safe and ready to receive your homecoming patient. 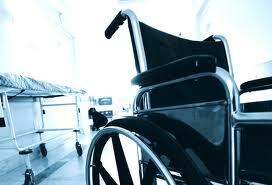 Should my parent be taken escorted home or be taken home by ambulance or disabled persons van? Will we need mobility equipment, like a wheelchair or walker, special toilet seat, or bathroom grab bars? Where do I go to get oxygen, if needed, or other medical supplies? Will their Medicare or supplemental insurance cover any of these costs? Will my parent need help getting up and down stairs? Will they be too fatigued to prepare and eat meals? Patients at highest risk for unwanted hospital readmissions are those who are recovering from COPD, heart failure resulting in surgery, and/or multiple medical conditions. If the patient lives alone or with a spouse who may have difficulty providing adequate in-home care, discuss your concerns with a local private home care agency which can quickly put assisted home care in place for the short term.